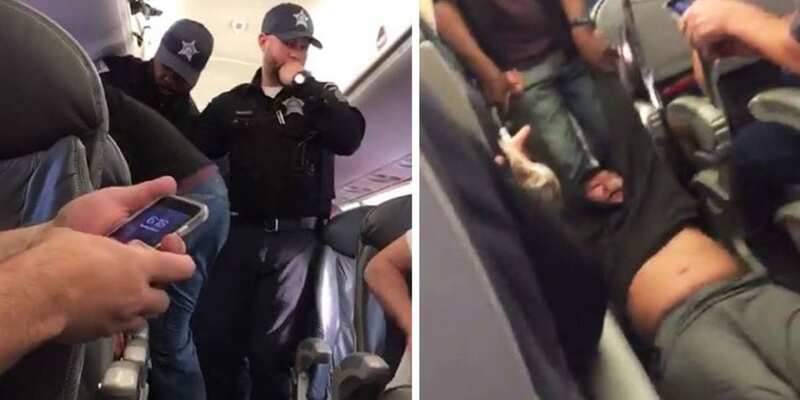 United’s forced removal of a passenger has become an Internet sensation, but the truth of the matter is overbooking and forced removals are actually pretty common — and United isn’t even the worst at it. Overbooking seems wrong. There’s X seats, and they sell X + Y tickets. It seems like it’s just asking for trouble, but I think overbooking flights is a reasonable practice — given there’s an equitable way to resolve inevitable problems. We all know airlines overbook, but hotels do the same – and that is wrong. Why is one ok and not the other? Because of late arrivals. You can’t arrive late to a plane — at least not after it has left the gate. If someone wants/needs your empty seat they should be able to get it. Imagine being stuck at an airport after a cancelled flight and being told “there’s empty seats on the next flight, but sorry it’s fully booked.” An airplane seat is, as they say, a perishable item. Once the flight leaves, the seat can’t be sold/filled. It’s silly to fly planes with empty seats that people need, so the question becomes what’s equitable? The win-win situation that usually works is a reverse auction, Here the airline offers cash or coupons to incentivize a passenger to voluntarily give up their seat. It’s a win-win because the the passenger gets fair consideration and the airline (usually) pays face-value (not real value) dollars toward a future flight. Plus these coupons tend to have restrictions making them comparable to a low value ticket anyway. The reverse auction means that if there’s no volunteers at $200 they offer $400, and this keeps going higher until everyone is happy. With hundreds of passengers in the auction, prices rarely get higher than $800. Even at a high value coupon, the airline still effectively sold the same seat twice. Airlines have tons of statistical information at their disposal. They can get very close with their predictions on how many people won’t show to a given flight, and oversell by that amount (or higher or lower). If they are paying too much in vouchers, they can reduce the oversell rate. What I don’t understand, or support, is the involuntary bump. Airlines are allowed to oversell (ok), but they also have the option of kicking people off when there’s no volunteer. So much for a ticket being a contract (that’s what they say when I have a problem). I’d rather see the reverse auction continue into higher numbers – a volunteer will be found eventually. How often are people involuntarily removed? Too often. The Dept of Transportation actually tracks this stuff. Between Oct-Dec 2016, United bumped 16,587 passengers. but only 891 of them were non-volunteers (high). My other airline is Southwest – their numbers are lower, and only bumped 11,438 in the same period — of which 758 were non volunteers. That sounds better, but it’s not. During those months United transported 22.3 million passengers and Southwest only “enplaned” 7.4 million passengers. That means you have a much higher chance of being removed involuntarily from a Southwest flight. Southwest involuntarily removed 1.02 per 10k passengers compared to UA’s rate of 0.4 per 10k. JetBlue came in worse at 1.19, and ExpressJet took the prize with a rate of 1.28. Theaters and stadiums typically do not overbook. They sell X tickets for X seats. Imagine showing up to a baseball game in the 5th inning. That’s ok, because your seats are still good. There’s no obligation to be there on time. If you want to a buy season pass (at full price), yet only view 9th innings than that’s your choice. Hotels are the worst offenders at overbooking. When I show up to a hotel late, I expect my confirmed reservation to be good — especially since they are going to charge regardless. But for whatever reason, hoteliers think it’s ok to resolve an overbooked situation by pretending a guest that hasn’t arrived will be a no-show. There’s lots of reasons why a person could arrive for check-in very late. Imagine a tough day of travel with missed connections and late flights, and then arriving at a full hotel that gave away your confirmed room. When this happens hotels are supposed to find/book a comparable room and pick up the cab fare. That seems like a low-risk proposition, so no wonder they overbook. By the way, who’s to say what’s comparable? Hotels use things like stars – I usually pick my hotel based on specific criteria such as location. Overbooking of flights is fine. There’s a lot of really broken things in the airline industry, but this one isn’t one of them. The involuntary removal needs to stop. The airline is taking the gamble by overbooking, thus must accept the risk (coupons or cash) of resolving the situation when it misses. Capacity planning used to be a big deal in communications. I remember well my Erlang tables. Anyone that has done Erlang tables knows it’s the same basic procedure for determining how many lanes a road should have. I often thing about that when stuck in traffic. Capacity planning is actually kind of amazing and fun up until it gets boring. Today, capacity planning is disappearing along with premises-based systems. Scale and capacity are things cloud services (mostly) resolve. Funny that airplanes have premises-based problems, yet fly in the clouds.